"Could you Photoshop this for me?" I'm pretty sure that's something every photographer hears on a far more regular basis than any of us would like. I get it, people want better photos. Maybe they didn't see that trash can in the background, or they couldn't get everyone with their eyes open at once, or they didn't like the color of shirt they were wearing in the photo. Whatever it is, chances are you've been asked to fix it at one point or another. 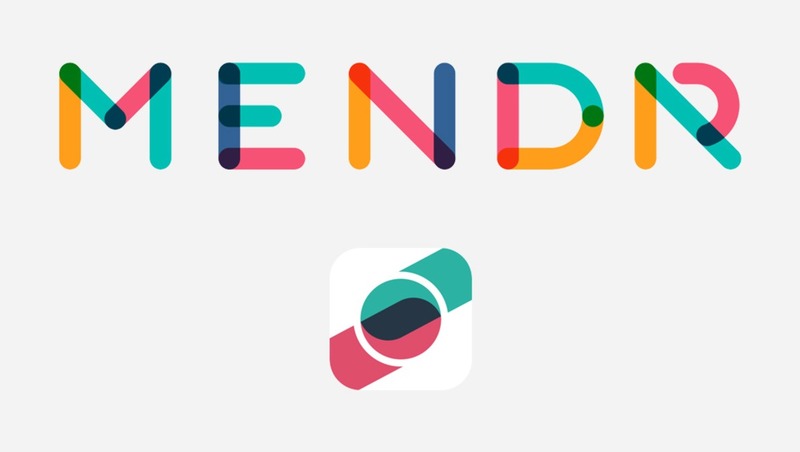 Well now you don't have to, now you can just refer your friends to Mendr. The concept behind Mendr is pretty straightforward and will be familiar to anyone who's used services like Uber, Lyft, DoorDash, etc. 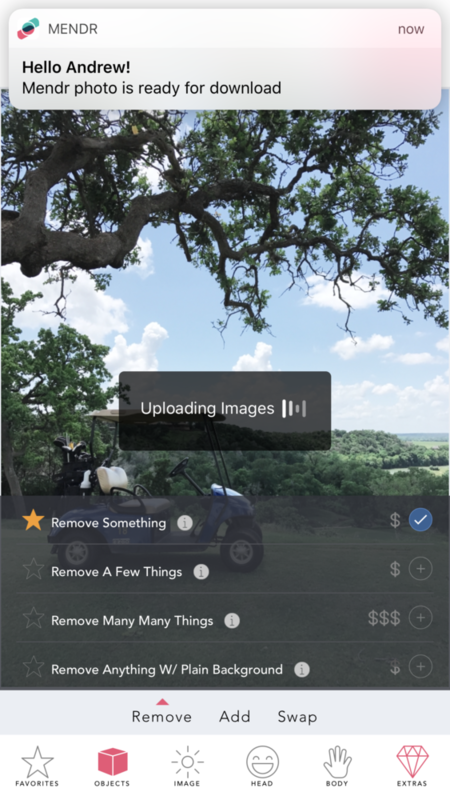 Users download the app on their phone, upload an image they want edited, tag it with the edits they want, and send it off to the cloud. It then pops up in the Editing Pool where Mendr-certified editors can claim it, perform the edit(s), and send back to the user. From the user's standpoint, it's an incredibly straightforward way to elevate their images. From the editor standpoint, it's a great way to quickly make a few bucks doing editing work most of us perform on a regular basis anyway. Mendr is the brainchild of Dallas-based entrepreneurs Pat Thibodeau and Josh Farrar. "I’m a photographer," Pat told me when we spoke on the phone about his app. 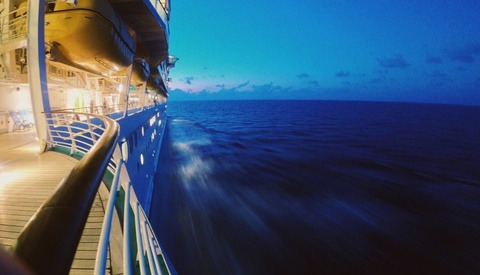 "It's always been a bit of a hobby and I've always done lots of editing. My wife was sending me photos to edit and I would but there was just one day where I thought 'why is there no service where you can simply send a photo off and have someone edit it and send it back, all from your phone?' So I did some research, but there was nothing user friendly and mobile based that really focused specifically on photography." Pat and Josh started working on the app together before launching it in closed beta in 2016. After a period of testing and refinement, they publicly launched Mendr in March of 2017. "It's really been picking up steam," Pat says. "We've really been focusing on organic growth and word of mouth. 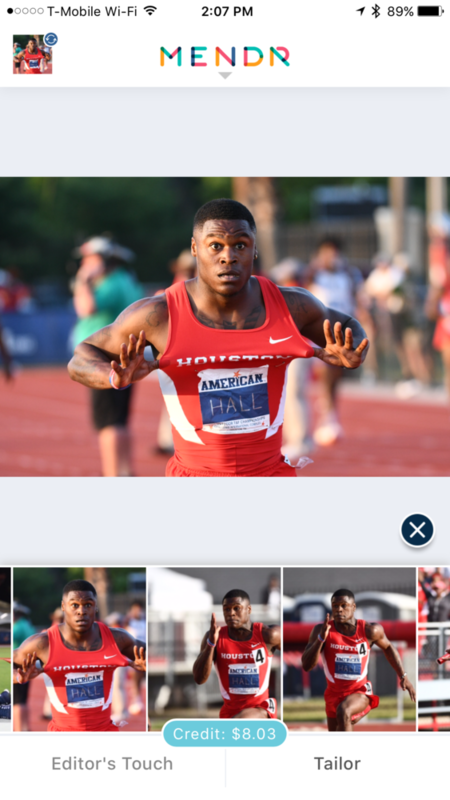 We're introducing people to a brand new behavior; sending photos for professional editing all from your phone is a foreign thing to most consumers." And that's really the key to Mendr, it's a brand new behavior process. I first heard about it from a friend a week or two after it launched and was intrigued enough to give the app a try and then take their test to become an editor. I've been doing edits on Mendr for a little over three months now, and it's been really interesting seeing the types of images people send in. If I had any doubts about the viability of Mendr as a consumer service, they were put to rest over the past few months. I've edited everything from people's vacation photos, to selfies, to product images for startups. Every image I work introduces me to a whole new use for the app and convinces me that this will "be a thing." My initial reaction to Mendr was something like "Yeah, it's cool to have better images, but will people actually want that and be willing to pay for it?" The answer is yes, and as more people learn the "new behavior" Pat was talking to me about, the more I think this app will pick up steam. I think the process is almost addictive for some users once they realize what a big difference a trained editor can make on their photos. I've Photoshopped enough tourists out of the backgrounds of vacation photos now to see what a big difference that makes to people, I've added a bow to a baby's head, pasted Jordan Spieth into a golf foursome, removed power lines and street signs from group photos, and more. I've even had a few images of my own that needed some object removal that I couldn't do from my phone and it was easier to just send off to Mendr, and I've also been able to refer friends and family to the app when they've come to me to ask me to "just Photoshop this for me real quick?" So obviously Mendr has two different core groups: users and editors. I imagine most of our Fstoppers readers are fairly well-versed in Photoshop and don't have as much of a daily need for quick edits, but many of you are probably like me and enjoy editing and wouldn't mind making a couple of bucks every day flexing your muscles in Photoshop. While I'm not going to tell anyone to quit their day job and edit on Mendr full-time (not yet at least), I have certainly found it worth it to keep the Request Pool screen open on my desktop whenever I'm working on other things. I think of it as my "Chick-fil-A and beer money" job since it's pretty easy for me to make a few bucks every day in my spare time for not a whole lot of work. And the money thing really is one of the aspects of Mendr that I appreciate as an editor, Pat and his team work hard to keep incentives in place to not only encourage editors to work, but to reward them for the quality of their edits. Users can rank their edits from 1-5 stars and editors' work are tracked to make sure they're meeting Mendr's fairly stringent quality guidelines. "We keep a close eye on user feedback and the kind of work editors are doing," Pat says. "If our users don't trust us to deliver top-notch quality edits, then there's no point in them using Mendr." Mendr puts all of your edit options in easy to understand menus. Mendr has two primary type of edits, the Editor's Touch (which is free), and a Tailor Edit (which is priced based on services requested). The Editor's Touch is meant to be basic toning and editing for an image to elevate it from how it looked straight out of camera; think like what you might do quickly in Lightroom or Camera Raw. This is completely free for Mendr users and is a great way for them to give their photos a little punch without resorting to over-the-top filters and effects from standard apps. The Tailor Edit is where things get real, selecting this option gives you an extensive menu of photo edit choices that you can pick and choose from. Anything from removing objects, adjusting hair length, blemish removal, body re-shaping, clothing adjustments, and many more. You can even upload reference photos for the editors to use in completing your edit, or even request to have your image match the same effect as the reference image (say you want your image to have the same visual style as Kendall Jenner's latest Instagram post, you can do that). 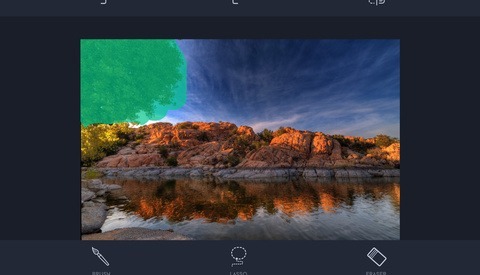 users can also use virtual "chalk" to outline specific areas of the image that they want worked on. Mendr really is a fascinating tool that is perfectly timed for our image-centric society. Your average person doesn't have the time or training to make simple photo edits that come naturally to most photographers, and Mendr gives them the ability to have those edits done for them for a low cost and with little effort on their part. I see this being a huge tool for a wide range of users, from "Instagram influencers," to moms who want to take their family photos to the next level, to small-business owners who need image work done on a budget. Mendr addresses all those needs and more and co-founders Pat and Josh are highly committed to keeping the level of quality that their editors deliver as high as possible. I highly recommend Mendr as a solid tool for not just your friends and family, but for your own phone as well. Mendr is available for download now for both Apple and Android devices. 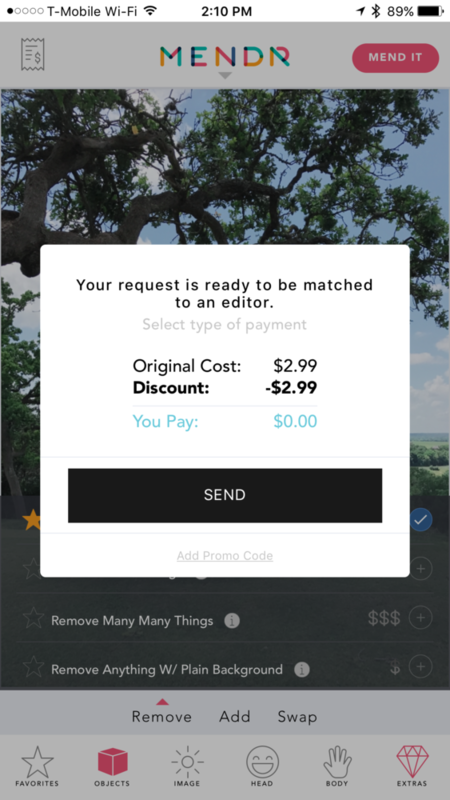 New users can get a $1 credit for their first Tailor Edit by using the promo code "AndrewMendr"
This is interesting but the costs above make me wonder how viable it really is as a way to earn money? Assuming someone is a good photoshop artist, could they ever expect to earn even as much as min wage using it? Which is why the article is aptly named "The Uber of Photoshop"
Except for UBER drivers can earn well beyond minimum wage with minimal skill requirement. (a driver's license) This looks like it is very specialized skill requirement to earn a few dollars an hour. I can go earn more at McDonald's flipping burgers if edits are as cheap as $0.50 to the user. I don't have any UBER drivers, its illegal where I live. But looking at the data on the page you linked. The median income reported is $31,182 USD per year. Compare that to the median income of a full time fast food worker which is about $16,500 and I'd say UBER pays pretty well for a low skill job. Now compare to Mendr which claims $6-$10 for a 45min to an hour job which puts it right on par with the average fast food worker, possibly less depending on the city. Though, that said the above numbers only really hold up if they are counted after expenses are taken into account. If cost of fuel and car maintenance is not taken into consideration and is effectively being subtracted from that $31k I suspect UBER drivers are a lot closer to burger flippers than it appears. Regardless, its generally expected that a low skilled service job is not going to earn as much as specialized professional careers. Anyone who is trying to build a full time career out of being an UBER driver is in for a rough ride. Especially once UBER goes to automated vehicles and stop employing drivers. It reminds me of services like Fiver. Fiver is kinda nasty tho because they take 1 out of every five dollars you make, and if a customer isn't satisfied with the results, you have to refund their money, but Fiver keeps your dollar. Doing any kind of imaging services it's easy to get ripped of by the client, but Fiver is client-oriented so their satisfaction can come at your expense. Yeah, that's why I specifically said it's not going to replace your full time income, but that it's nice for extra pocket cash every week. I also think their estimates are a bit on the high side, and they somewhat offset the fact that you're only a making a few bucks per edit by incentivizing editors with bonus payouts based on quality and the number of edits you do. But yeah, you aren't going to replace your full income with this. With this payout it seems only beginners or kids will be editing, no real "pros"
I mean, I consider myself a "real pro" and I do at least a few edits every week. Cash is cash, especially if I'm getting it for a few minutes work when I'm already sitting at my computer. I downloaded the app to check it out but it doesn't ask you anywhere if you want to be an editor. I can edit my own photos so i don't need they're editing service. How do you sign up as an editor? Sir, I love the concept. I'm from India and tried to download an app from my Ipad but it says that Ithe said app is no5 available for Indian sites pls check n do the needful. Hi, this is Pat from Mendr. Thank you for your kind words and interest in the app. I'll have India added tomorrow! I would imagine this service is not geared towards actual successful "professional" Photoshop users, but rather younger kids who have learned how to remove items from the backgrounds, change the colors of things, and smooth skin. Or rather, that is who it will attract as editors. I had access to Photoshop 2 when I was in college and I wowed everyone with my horrible Photoshop skills. The 25-years-ago me would have worked on images for a few bucks to buy something better than Ramen noodles for lunch. It's a cool idea, I wish the makers of the product all the best. My hope is that the owners' commitment to a quality product and future plans to provide continuing education will actually help elevate more novice editors skills. It's also a quite nice way for someone like me (with a full time desk job) to make lunch money every week. I'll be interested in seeing where it goes as its user base scales. I hate the idea. Cheap will always be cheap. This a million times. And it doesn't even make sense to be an app. Its an app for the sake of being an app. Uber and Lyft work because they need the geographic location. This is just another Fiverr for no reason. If phones are the #1 photo platform in the world, why would it be anything but an app? Also, have you ever actually used Fiverr? Process is way more convoluted and focused on an entirely different user base. My problem with idea of Mendr is not how much I could earn but how it would affect my business as a freelance photographer/retoucher. If people can pay pennies for professional quality edits using Mendr, why they would hire me and pay me what the job is really worth in time, skill, effort and software licence? 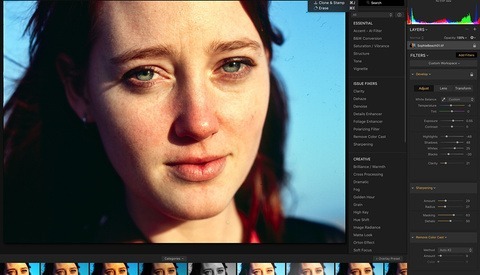 I think you ultimately undervalue any talented photo editors skill by selling it cheap. Unless the quality expected is lower than fully priced work I am against. Ola, fair concern. I would say that Mendr is squarely targeted at mobile users who are shooting images on their phones. From a business standpoint, someone who would go to the trouble of transferring images to their phone and having them edited through an app just to save some money probably wasn't ever going to be your customer in the first place. I took the first test cause I was curious for some possible supplemental income. Okay, I looked at the second and third test, and it says I have to require a background for composite. A "merge" file is not given to us in the download. Why am I suppose to supply the alternate background for the composite? That makes no sense. If I have to supply a background image then I am either shooting the image myself, paying someone else (a stock agency for the image) or stealing if from the web (which is illegal). That to me is what does not make sense. Also their last test with the "boxer." Find a boxing ring to fit him into, really? Where will I get a background image that matches the perspective of the male model punching thin air? Alamy had one that might work and it was $19.99. Far higher than what people are offering for the retouching services.